Yacht Club area — MILLON DOLLAR NEIGHBORHOOD! For three generations this home has been in the same family, and lovingly cared for. Mr and Mrs Gaumer spent many hours back in 1963 searching for the perfect location for their home. When they found 760 Coral Drive they knew they had found Paradise. As you travel Coral Drive to the end, you also will know that you’ve found home in this Island lifestyle neighborhood. The owners call this “the friendliest place on the Cape”. Home is offered TURNKEY—including furniture, pots, pans, linens, etc…. Just bring your toothbrush and you’re ready to relax and enjoy your oasis. LARGE SCREENED LANAI with view of the SOUTHERN EXPOSURE backyard, Corner lot, HUGE POCKET SLIDERS in Living Room, a/c NEW in 2012, City water/sewer in and ASSESSMENTS PAID, light and bright open floor plan, split bedroom design offering Master Bedroom on one side of the home and guest rooms on the other for ultimate privacy. Close to shopping, restaurants, yacht club beach, Ft Myers Bridge, and more… Easy access to Sanibel Island and Fort Myers Beach. Plus, Fort Myers International Airport is only about 18 miles away. 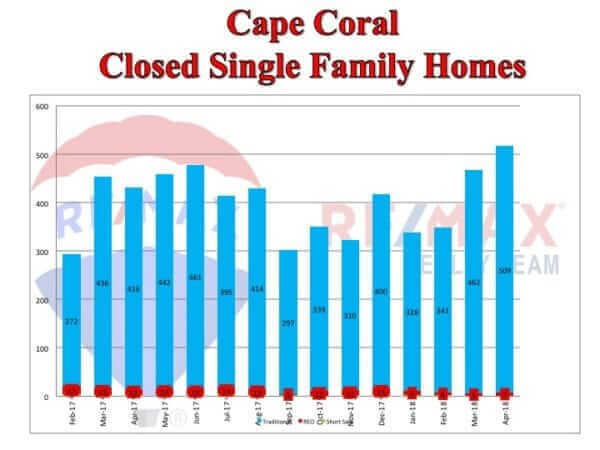 > Over 530 closings in Cape Coral for the month of April, the highest number of closings in a single month in over 7 years. Roughly 12% are new construction. 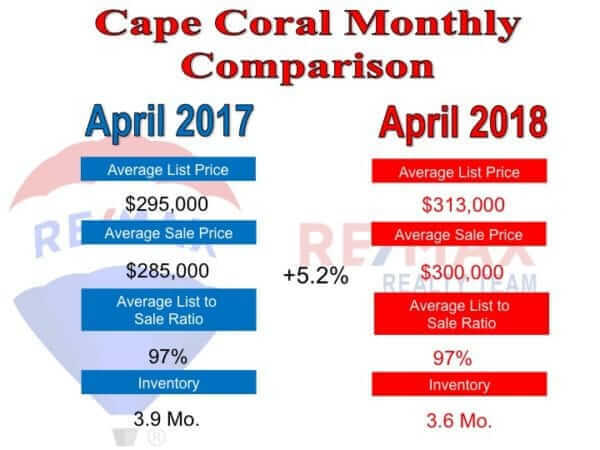 > Cape Coral reaches the $300k mark for single family home prices in over a decade, although still off by nearly 21% from peak prices of 2006. > New Construction permits reached nearly 200 in April, nearly 15-20% of total economy whether local or nationally hinges on the strength of new construction in a market. 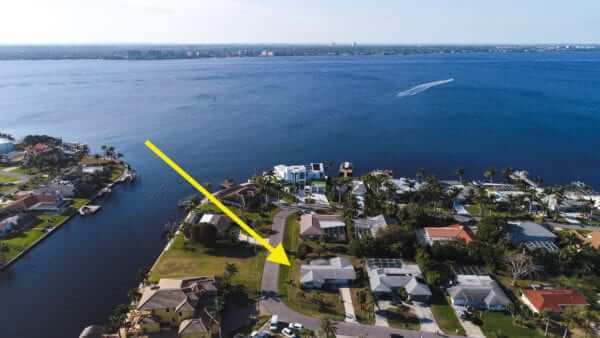 > Existing home sales is one of the most important gauges of a healthy market, Ft. Myers felt its much-anticipated first annual peak, with over 400 single-family home sales. > Fort Myers hanging by the threads of a neutral market, as inventory levels continue to drop between 4-6% monthly, Ft Myers should enter into a full-swing “sellers” market before the end of Q2. > A possible amendment to the Truth in Lending Act would allow seller financing transactions that an individual can participate in without having to register as a mortgage loan originator to five. Currently, the limit is three within a 12-month period. Qualifying sellers include persons as well as entities, such as corporations, partnerships, proprietorships, associations, cooperatives, estates, and trusts and must contain safeguards such as: the loan cannot have a negative amortization, prohibits high cost loans, and requires interest rates to be fixed for five years.